“Though REM has been operating successfully for over 40 years, Goal Partners and Fred Kroin have been essential elements in the growth of our company and its management structure. With the help of Fred’s experienced facilitation, REM crafted a comprehensive strategic 5-year Business Plan and, with his guidance, successfully formed a dynamic Executive Management Team, improving both organizational and operational excellence. Fred is skilled at maneuvering our diverse group of executives in an objective, positive and constructive way that has created a culture of accountability and teamwork. Given the nature of the group and the development challenges ahead, his continued involvement will be crucial to the group’s future success. We truly benefit from his ability to see to the heart of a matter, to ask the tough questions and to be the objective mediator. “Pinnacle Design Inc. has been pleased to work with Fred Kroin as a Management Consultant for the past four years. Utilizing Fred’s services has been an effective method to concentrate and focus on “running the business”, which can so easily otherwise be lost by harried and hectic firm principals/owners. Fred’s coaching and mentoring to track progress, set goals and tasks and hold each other accountable has been an invaluable help in the growth and sustainability of our firm. Those same processes have also been helpful in working through the downturn in the economy. Functioning as an “objective referee,” Fred often played a role in discussing and mediating issues amongst the partners and divisions. His own personal business and management experience made him a valuable resource for general business advice. “Fred helped us with the development of our monthly executive management team meetings. Through these meetings we established a process for accountability, out of the box thinking and team collaboration that allowed us to focus on the right priorities for Weil Lifestyle and align them with a well-informed team consensus for goal setting. ”Fred has conducted a number of management workshops for REM’s employees on our metric-driven management process and on improving communications thru an understanding of personal behavior styles. His engaging manner and intelligent delivery have resulted in educational and enjoyable experiences for all involved. These workshops as well as his easy style have opened doors of communication between REM’s employees and management that had not existed previously. “Fred facilitated a strategic planning session for our team that was excellent! This started everybody in our company working together. After showing us how, he then led our monthly management team meetings in a way designed to hold everybody accountable for their goals. It works! Fred also conducted several in-house team-building programs for us. These not only accomplished team building but also improved team spirit. TIP Maintenance, Inc. & Turken Industrial Properties, Inc.
“The most significant benefit I received from the monthly meetings Fred facilitated for my company was a sharpened focus. The principle hazard of modern business is “mile-wide, inch-deep” syndrome, in which dozens of projects are begun and abandoned as distractions continually arise. 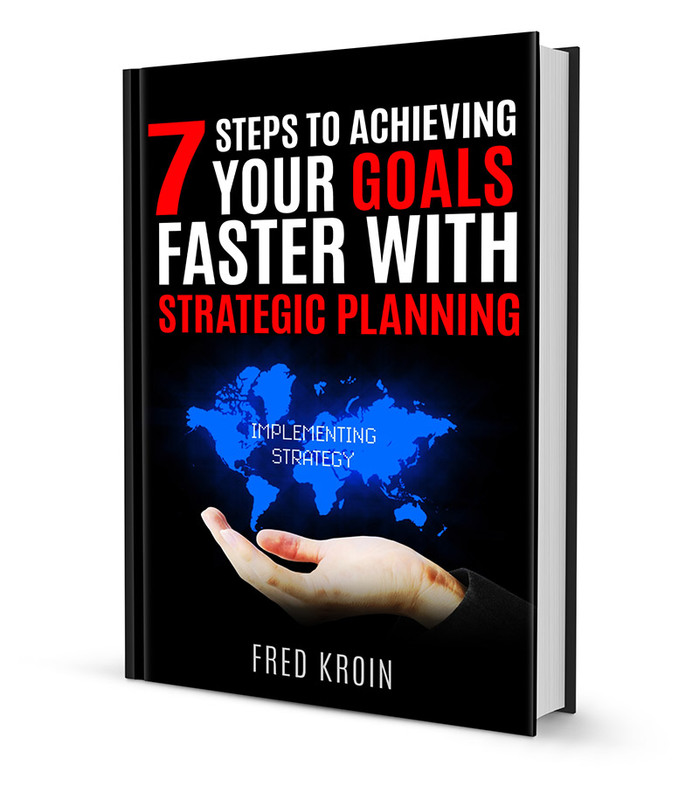 Fred constantly encouraged us to simplify and prioritize – don’t have too many people in the meetings, and don’t have too many goals and action steps for any given month. As much as we may feel it is necessary, no one can do everything all the time. Fred helped us to identify and complete the few truly critical things that we really needed to get done.